I come from a small town approximately 31 miles east of New York City. In my youth, I walked nearly all of its streets, searching for a sense of identity while trying to find my purpose and understand the meaning of life. I have history in this town, which is not all good. However, my history is not all bad. In my youth, I was a part of the town’s parades. I marched from the park at Prospect Pool down East Meadow Avenue, onto Fronts Street, right onto Merrick Avenue and straight up to the baseball fields. I wore a baseball uniform, ate hotdogs, and was part of opening day. I was part of this town’s innocence as well as a part of its guilt. I grew here. From early years into the teenage phase, I became one of the town’s problems. But there were other problems besides me. We were known as burnouts. We were the longhaired and rebellious. We listened to fast and aggressive music. We were too young and too stupid to understand the consequences of our actions. We lived as fast as we could because we saw no other way to be. We drank at young ages. We chose to get high and smoke cigarettes. I can recall one night specifically. I woke up on the roof of my elementary school. I had no idea how I managed to climb up. Moreover, I had no idea how I would get down. I had no idea how long I had been there nor was it clear who I climbed up with. I only knew I was on the roof near my first grade classroom. I recall the nighttime sky. It was wintertime and the stars were perfectly bright. I smelled from the Jack Daniel’s, which apparently spilled down the front of my t-shirt through mostly zipped-up hooded sweatshirt with a denim jacket covering like an outer shells. There was no snow on the ground but the wind was cold and sharp against my skin. My small world was quiet. It was dark, but the moon lent itself like a bright lantern to glow against the gray rooftop. I have this memory of who I was at the time. With no idea of what to do or how to get down from the one-level school, I decided to flip open my flip-top box of cigarettes, pull out a Marlboro Red, lit the smoke, and then I blew into the air as if the soul of my town understood and was solemnly on my side. I was a symptom back then. I am one of many stories from my town. I come from a working class, middle income neighborhood. We were unique, but no different from other neighborhoods at either side of our borders. Nevertheless, we fought with some of the bordering towns. “Rumbles,” we called them, though in truth, none of them were so overwhelming or tragic. Truthfully, the only rumble I was to be in was over before the fighting began. The rumble was us against the town of Levittown. We were to meet up at the Roller Rink on Hempstead Turnpike. We walked up with as many people as we could find. Levittown showed up too. Only, they came with triple the bodies, triple the fists, and from what I recall, the boys I arrived with and I quietly turned around to retreat in the anonymity of our local streets. There are stories of this town that I will always remember. I was a legend in my own mind; I was a part of this place, and nothing can ever take these memories away from me. Good and bad, these memories are mine and I will always hold them close to my heart. No one knew much about the old woman. No one knew Mary was a hoarder; she was mentally challenged as well as grieving the loss of her husband, who incidentally worked for the town before his death. Mary was part of this town’s truth. The untruths were stories like, “The girl and the frozen hotdog incident,” which never happened, but still—this story about the girl that found herself sexually stuck to a hotdog in a hospital room was more well-known than say, the factual details of Crazy Mary’s tragic death. I left this town at the age of 19. Then I came back at the age of 33. I came back a changed man nearly ten years ago. People remembered my, but no one recognized me . . .
Much of the landmarks from my time as a crazy kid are still here, but many of the stores from my youth have changed. Most of the store fronts have all had facelifts. The Secret Self on Merrick Avenue is gone. The Meadow Dairy is not what it used to be. The Friendly’s on Front Street is long gone and some tell me Fig’s Deli is about to close. At least Borrelli’s Italian Restaurant and Pizzeria is still around—they’ve been a part of my town since 1955. I do not see this as a victory. Recently, I have been included in a small prayer circle for the better health of a friend’s mother. Years ago, I would have never been regarded. And here I am now, praying on a daily basis, and asking God the Father to shed His grace on a beautiful family. I consider this a privilege. As I write to you, the walls in my room are being undressed. I am packing my belongings and as we ready the house for sale. This feeling I have is strange—nostalgic, I guess. But wherever I go, I will always be a prince to this kingdom. This is where I grew up and brings back so many memories. 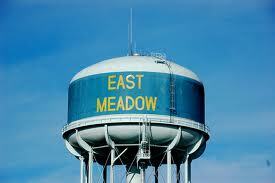 Another East Meadow repatriate here….moved back after 30 years. Your description of being outside on the roof at night rings very true to me.